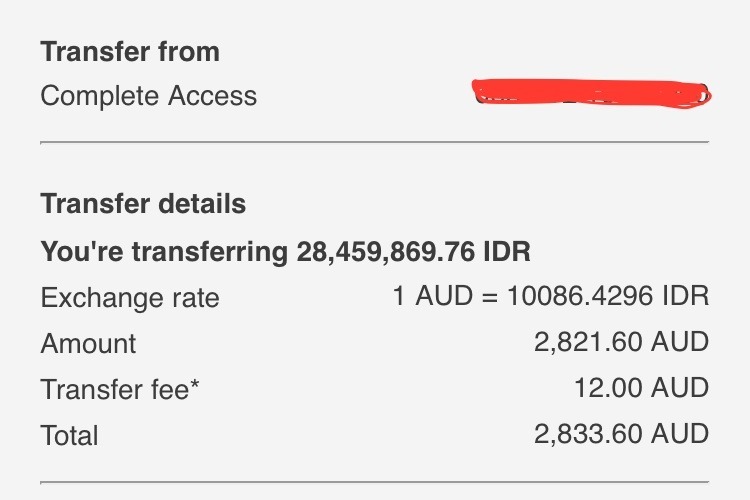 We are two friends (Thai / Australian) who met at university in Indonesia. 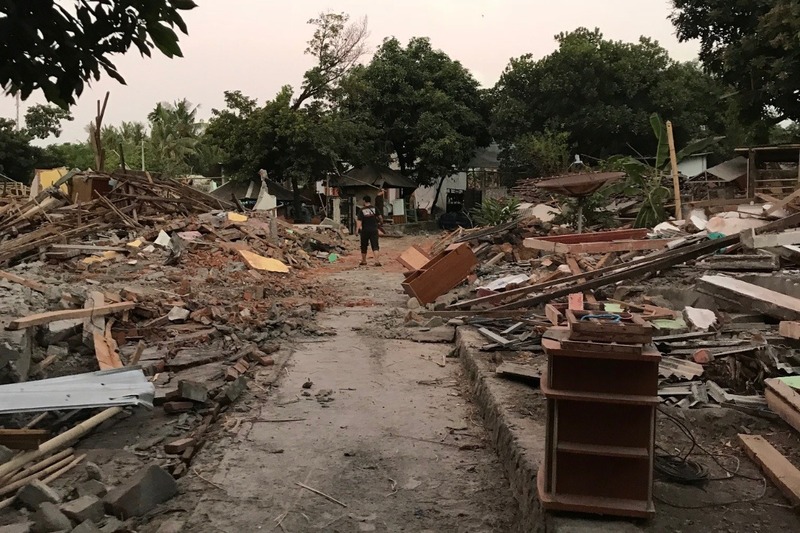 As we both have a strong relationship with Indonesia and are people who are pursuing careers in reducing the impacts of disasters, when the earthquakes hit Lombok we both felt compelled to do something. 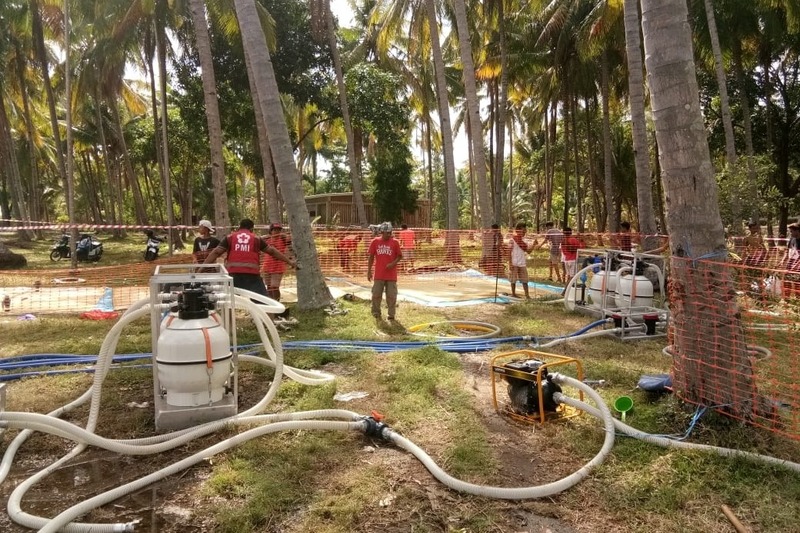 We are now volunteering with the Indonesian Red Cross and were able to see first hand the amazing work that they're doing on the ground in Lombok. 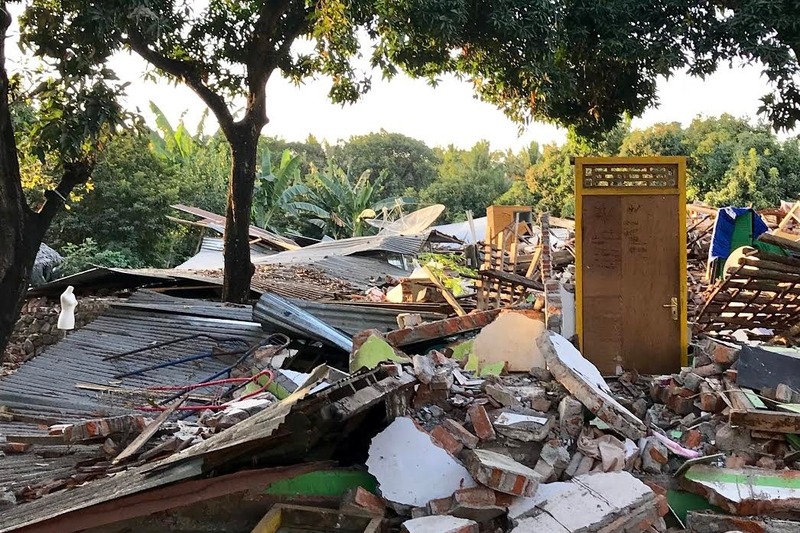 The extent of the destruction is difficult to even explain, however what is clear from our experience is that money is so urgently required and the needs on the ground are so great. 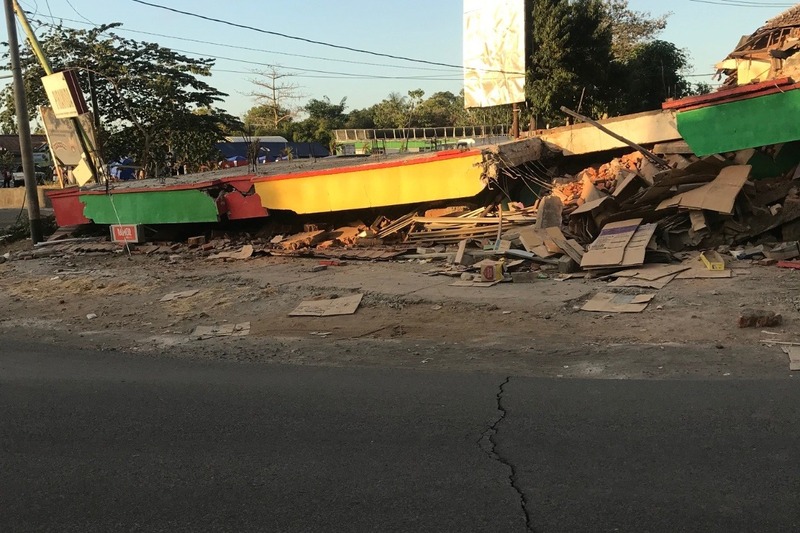 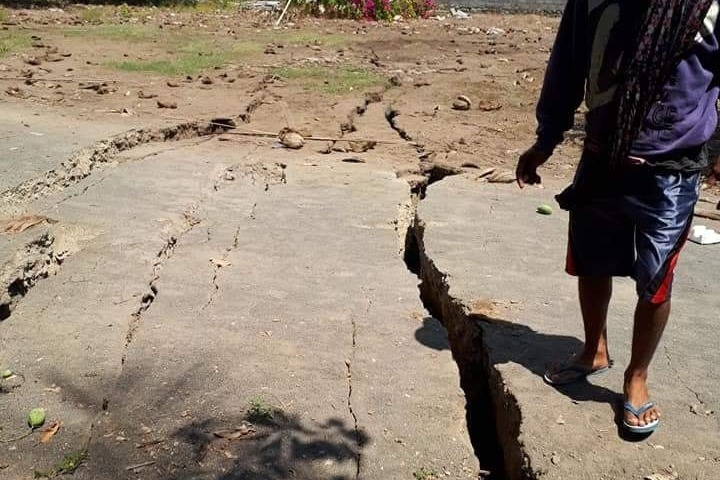 A series of destructive earthquakes have hit Lombok since the end of July. 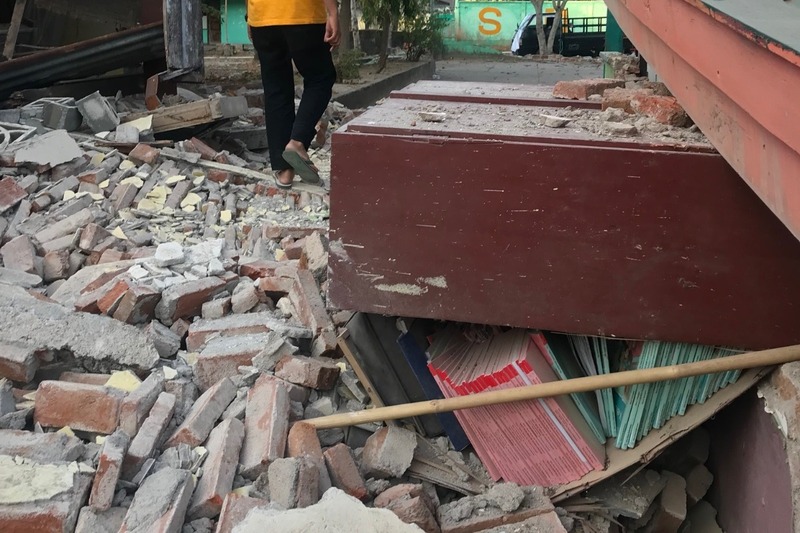 The earthquakes have caused extensive damage to buildings, homes, schools, hospitals and infrastructure. 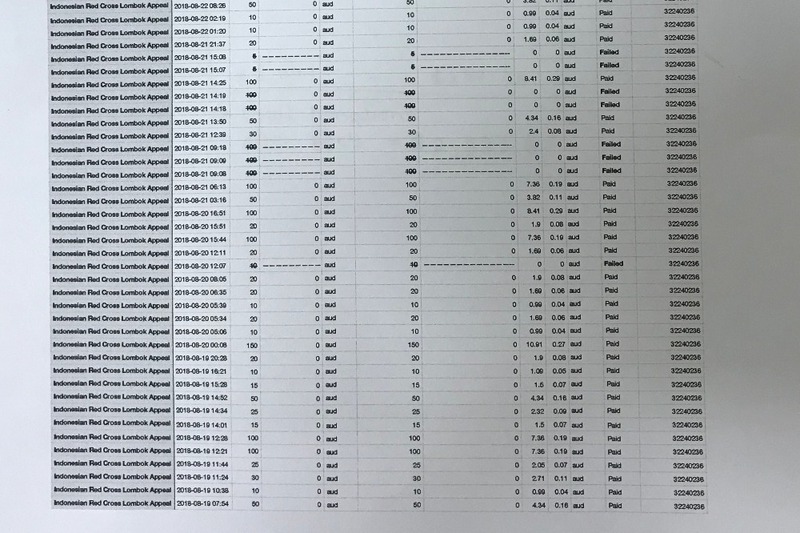 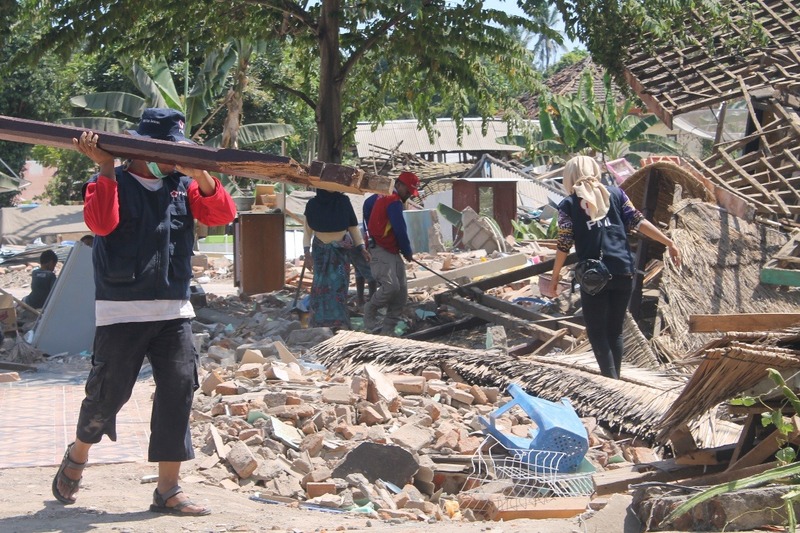 The death toll is now estimated to have reached over 400. 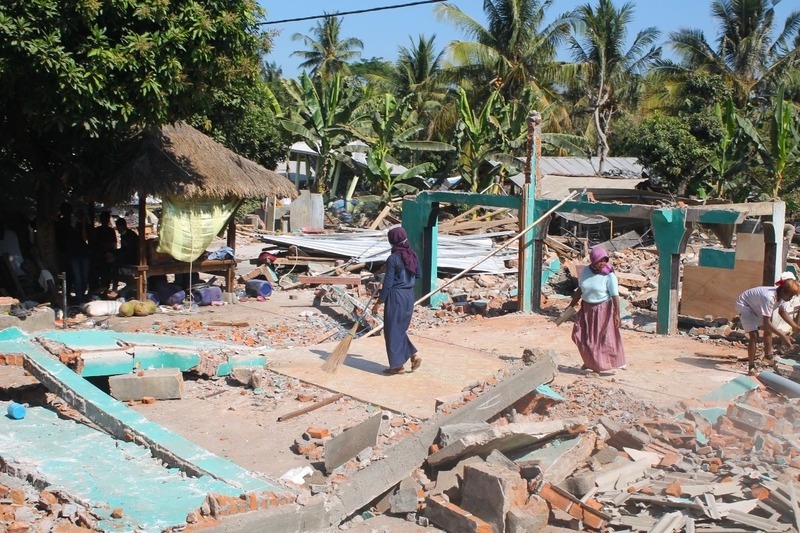 Destruction of houses has meant over 80,000 people are now displaced. 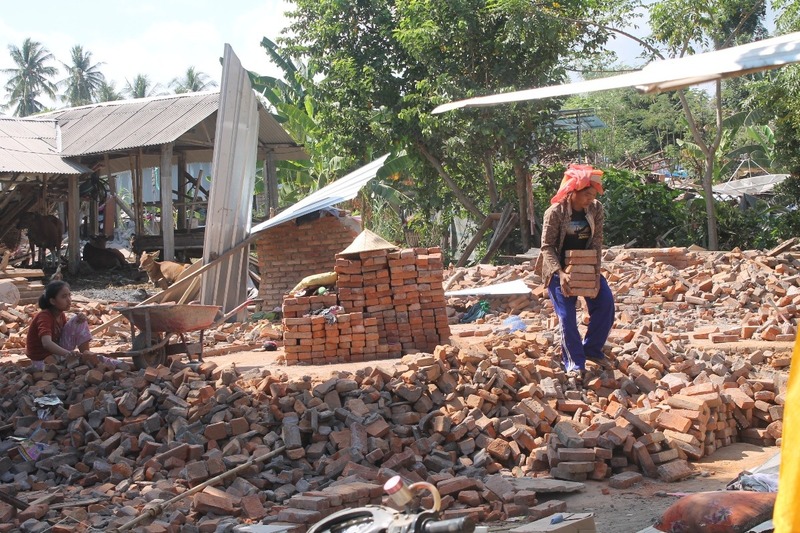 Aftershocks are still occurring every day and expected to continue over the coming weeks. 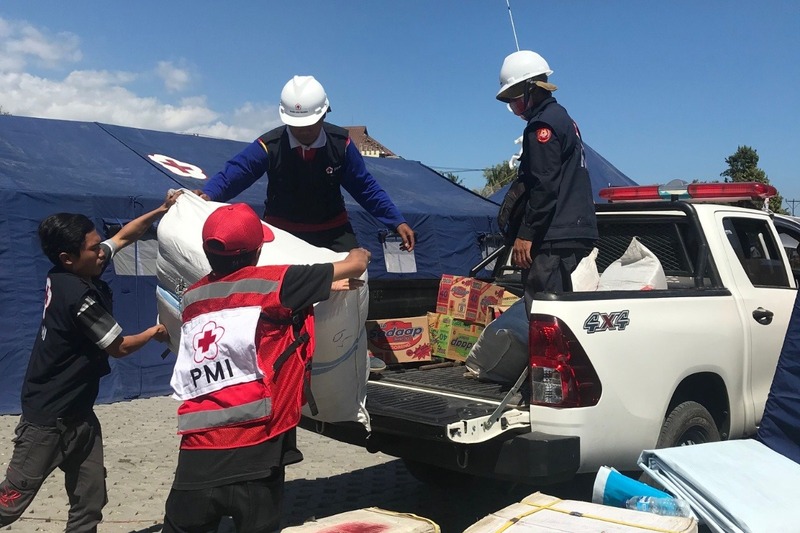 Indonesian Red Cross (PMI) urgently requires funds to provide emergency aid to the worst affected areas of Lombok as well as longer term reconstruction. 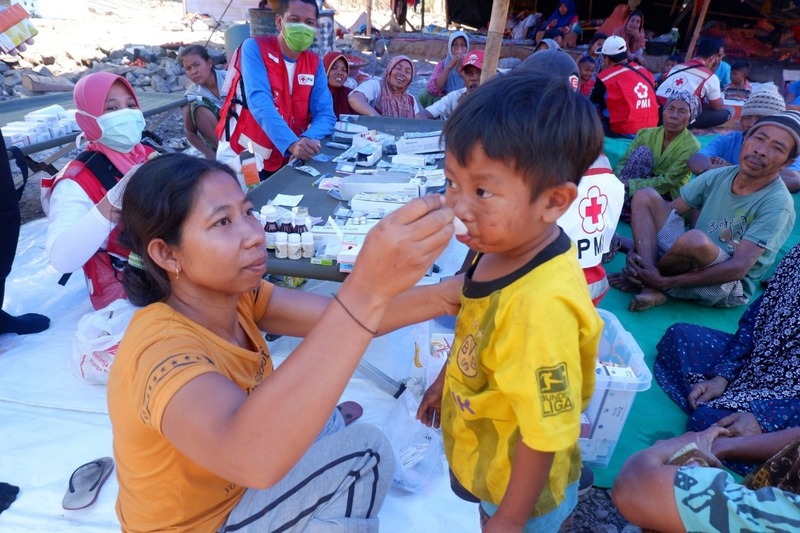 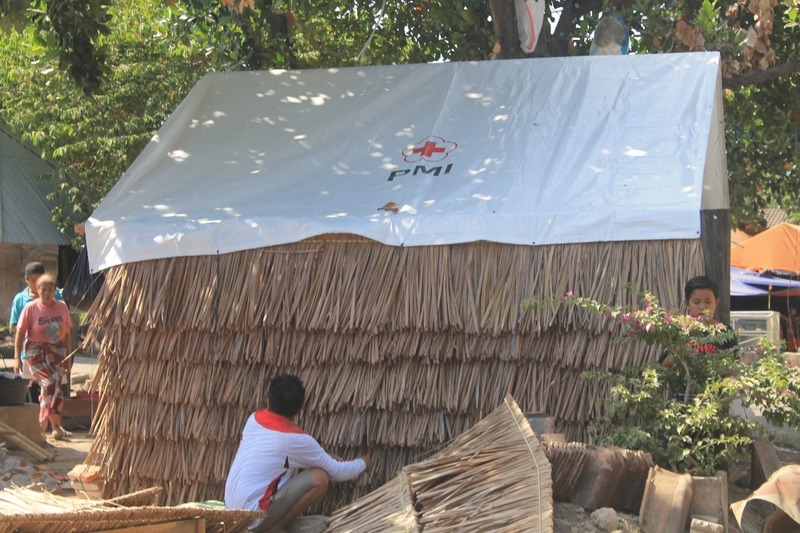 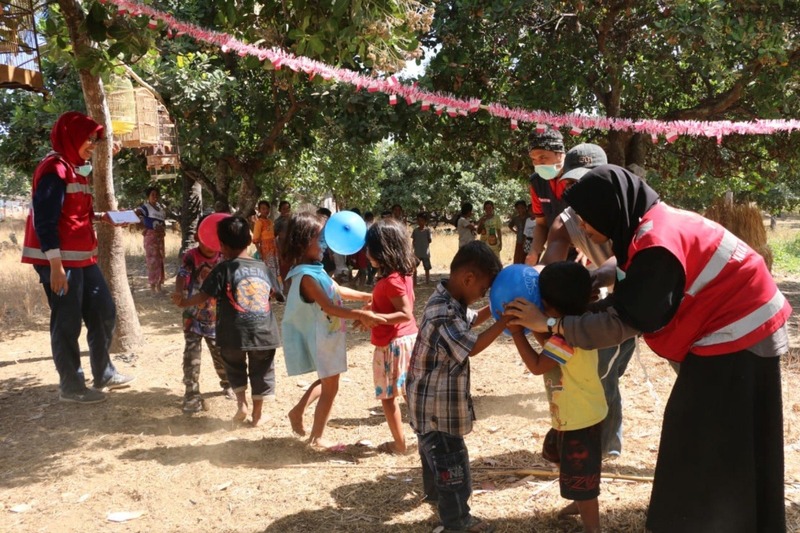 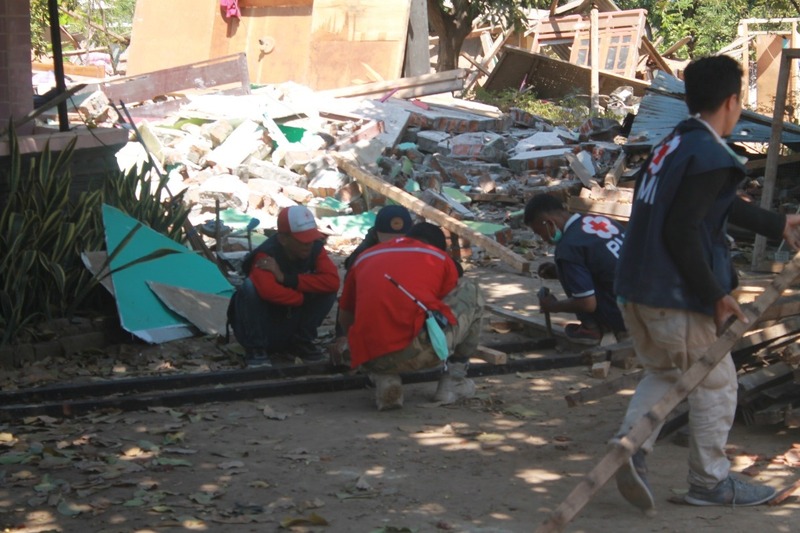 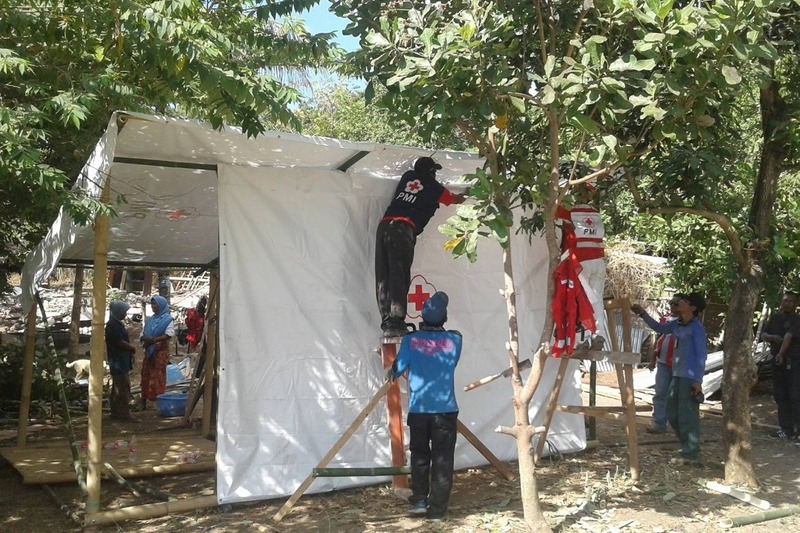 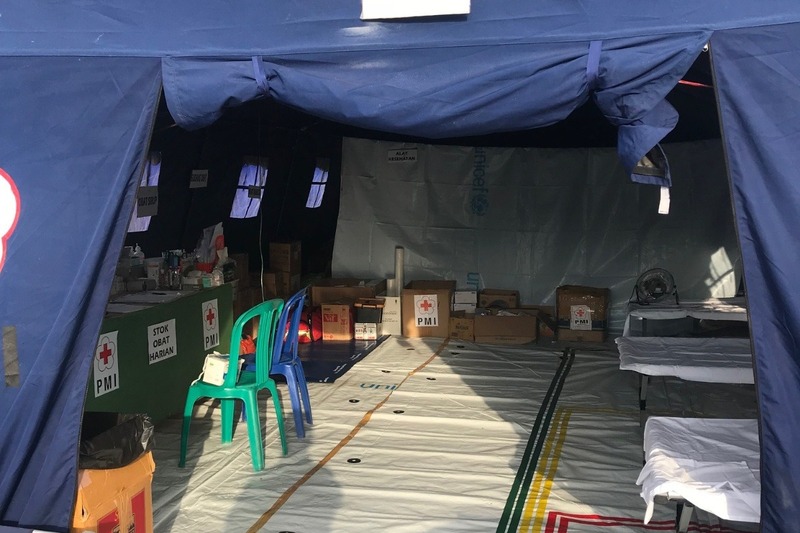 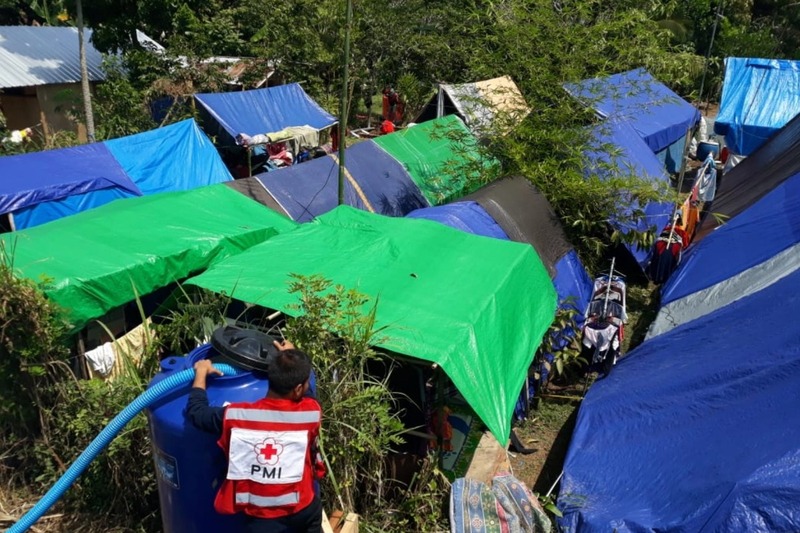 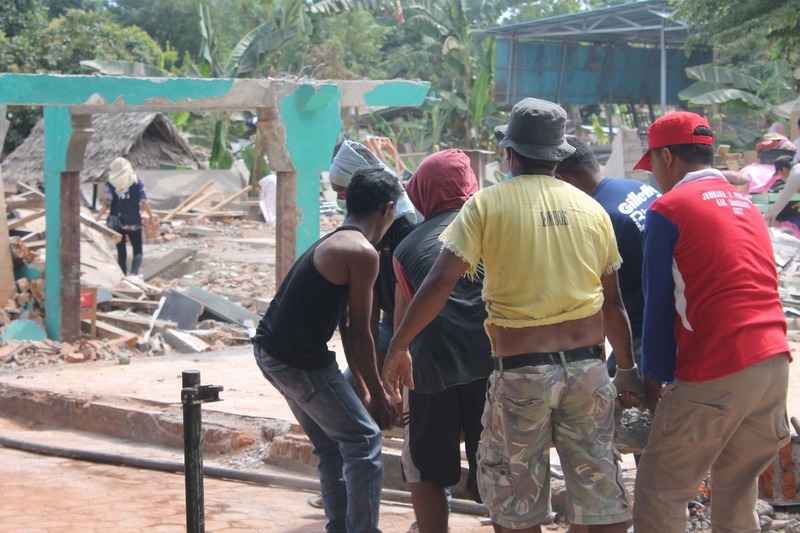 As the largest humanitarian movement in Indonesia, the Indonesian Red Cross has been on the ground in Lombok providing urgent emergency relief since the first earthquake hit. 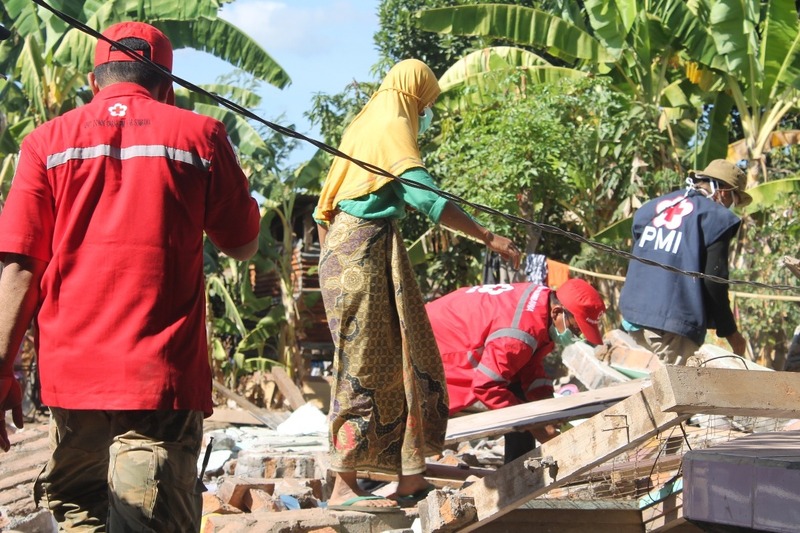 Indonesian Red Cross has mobilised large teams from all over Indonesia to assist in the emergency response, most of whom are volunteers. 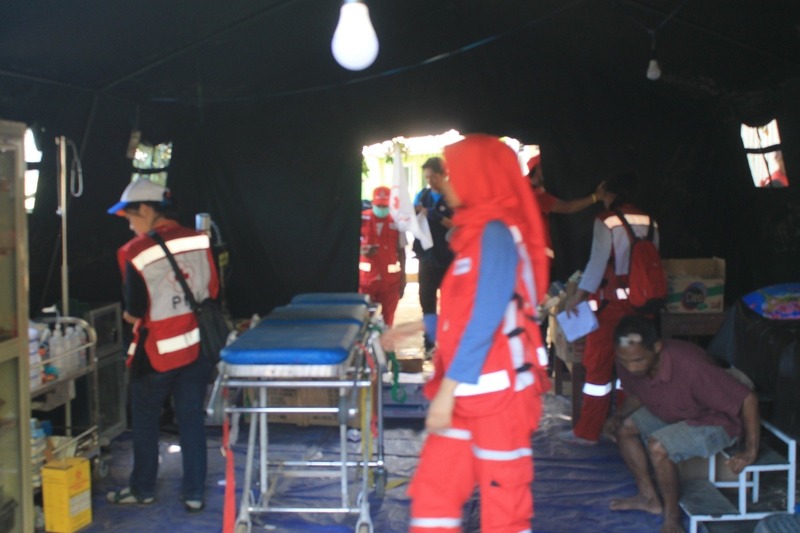 Their dedication, professionalism and comradery in the face of such tragedy is really something to behold. 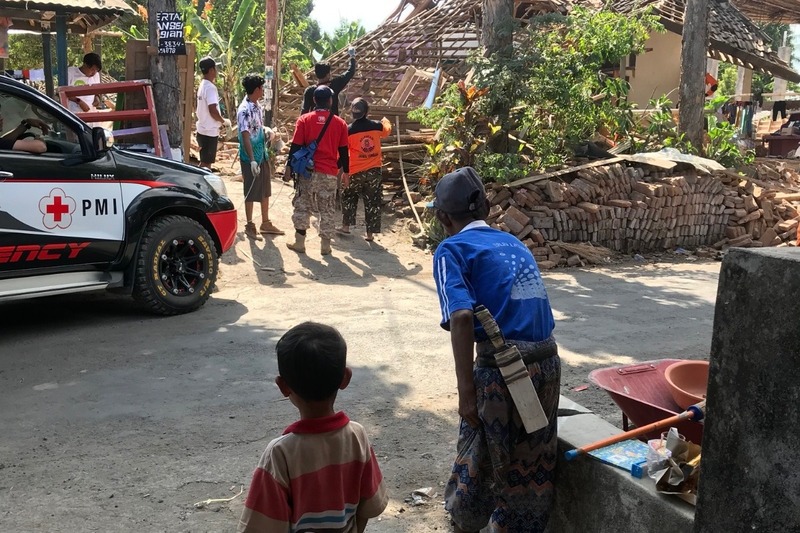 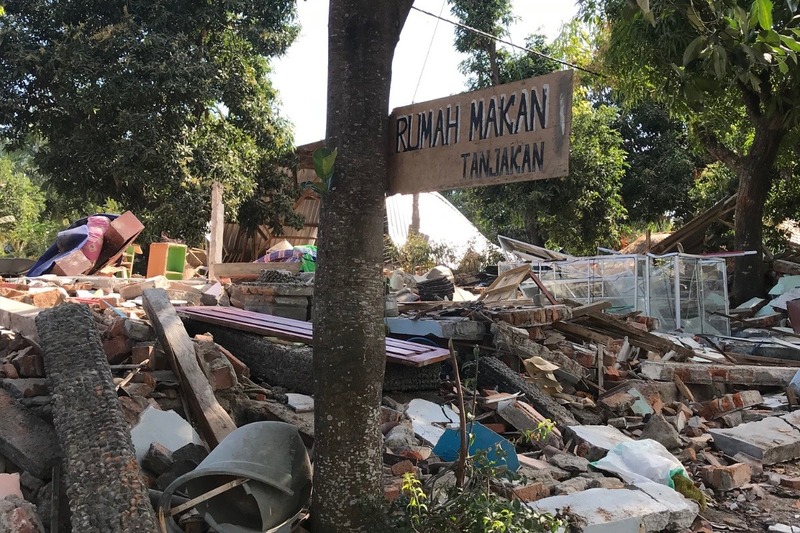 The key areas in which the Indonesian Red Cross is responding in the immediate aftermath of these earthquakes are: health, psychosocial support, water and sanitation, restoring family links, distribution and logistics, shelter. 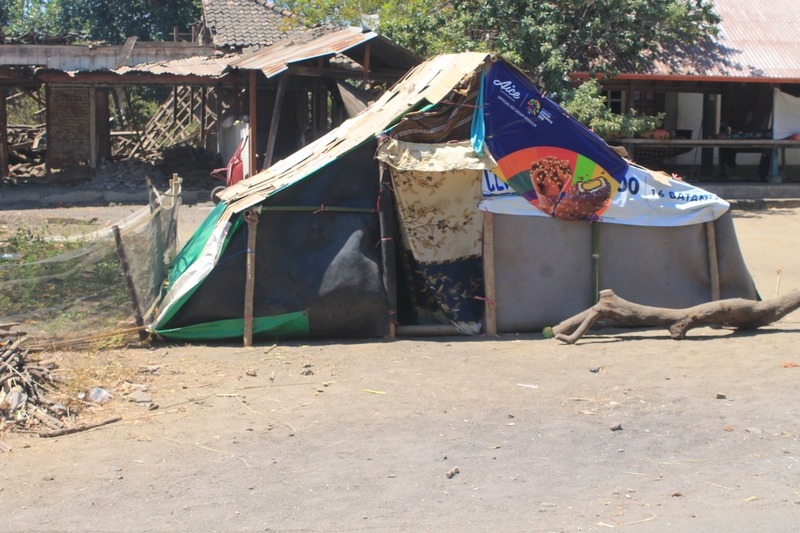 The response is expected to continue for 18-24 months as Lombok rebuilds. 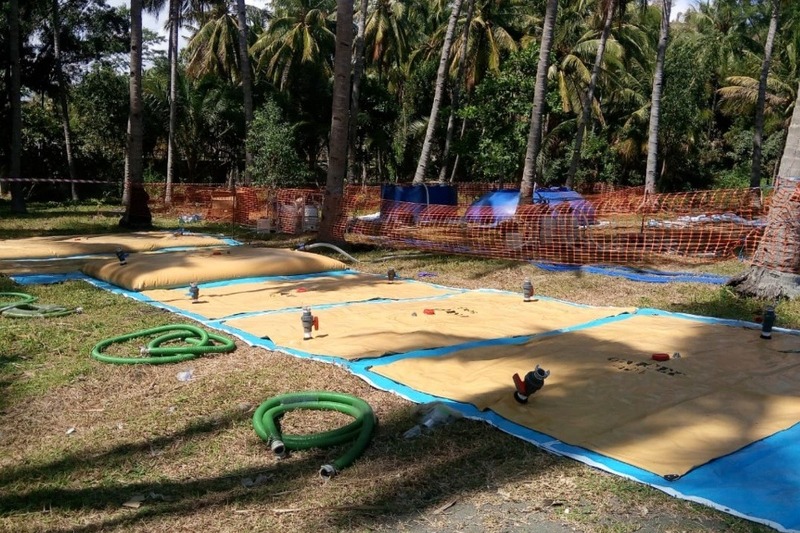 Having seen this work on the ground, we can say with certainty that what they are doing is truly amazing. 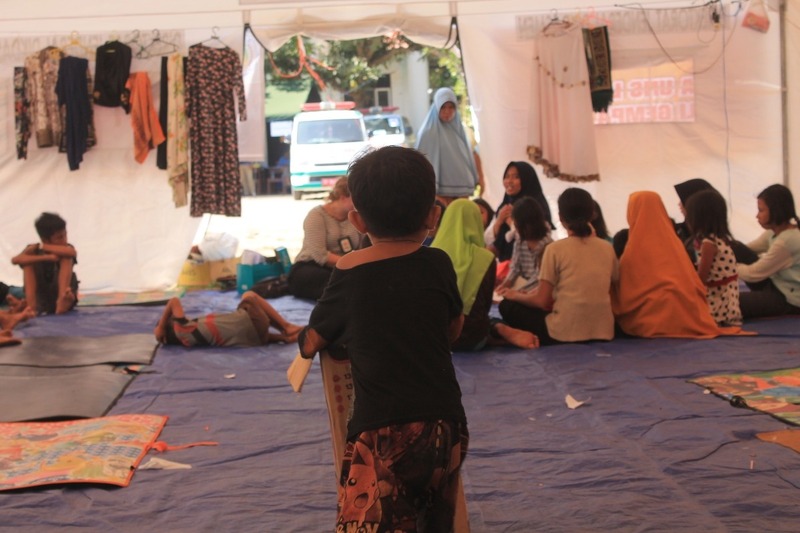 Money is urgently needed to support this work. 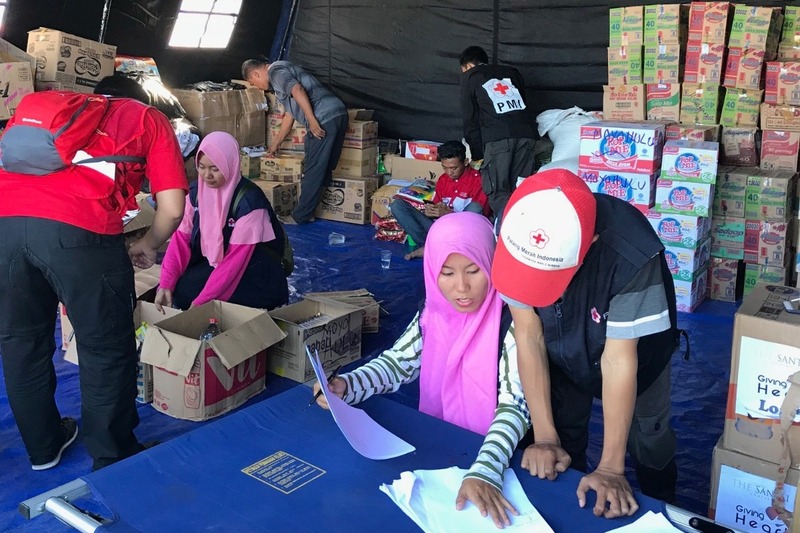 Many people have been asking us how they can support the Indonesian Red Cross relief efforts so we've started this crowdfunding page to get much needed funds directly and quickly to the Indonesian Red Cross teams on the ground - (we figured crowdfunding may be easiest for friends abroad to avoid transaction difficulties). 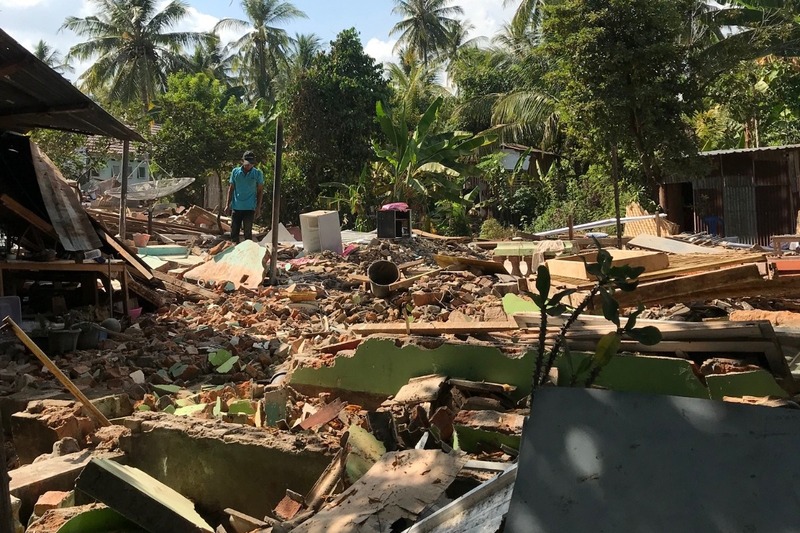 Any donations will greatly support the vital work being carried out to assist the people of Lombok. 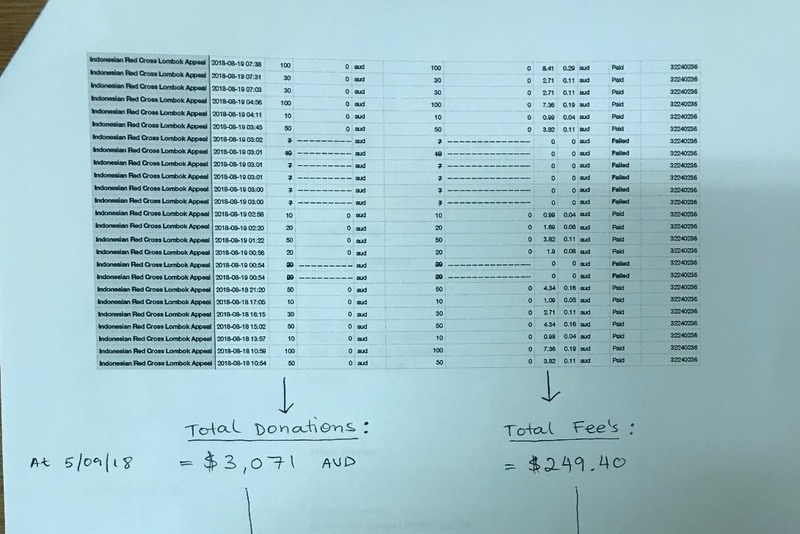 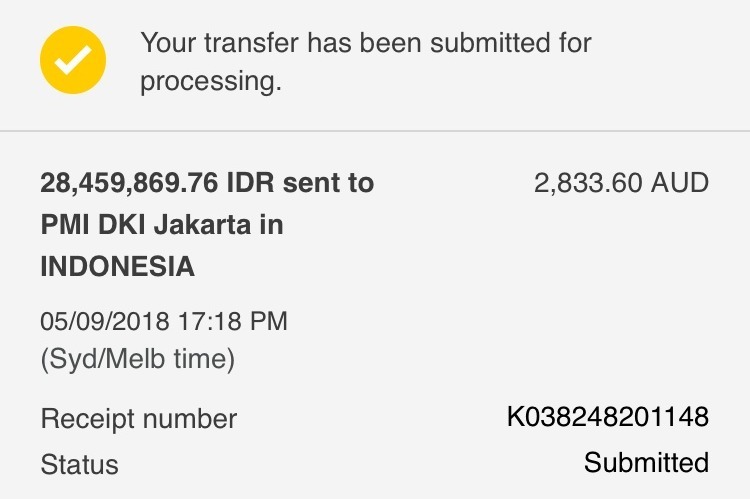 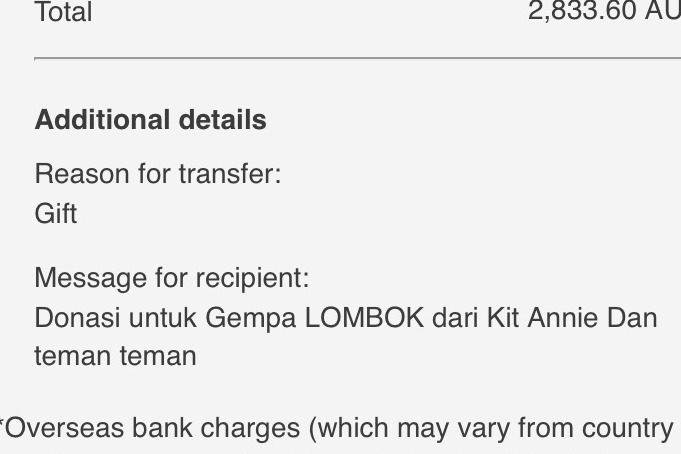 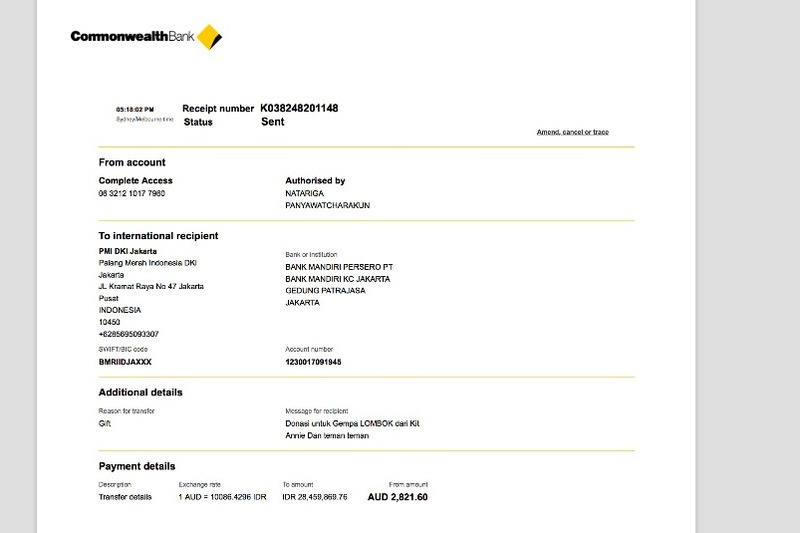 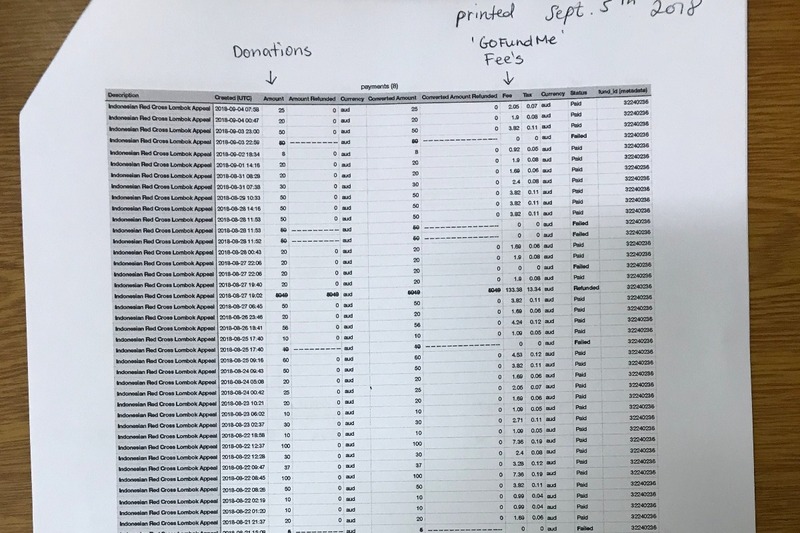 We will also provide receipts and attach it to this page to show transparency of your donations to PMI (Indonesian Red Cross). 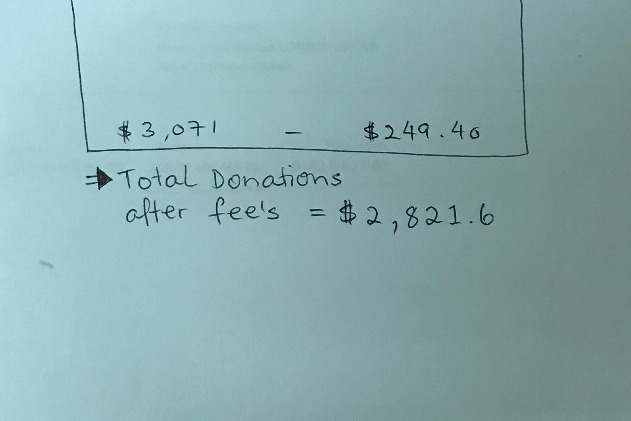 Thank you for your kindness and any support that you're able to give - no amount is too small as every bit helps! 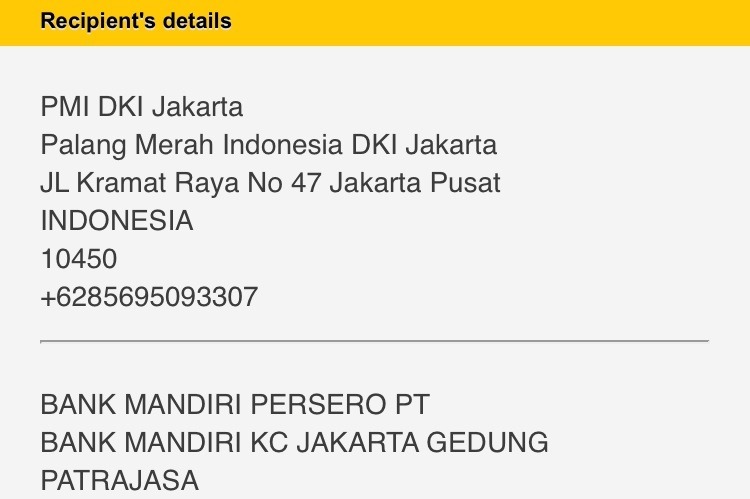 Also, Please feel free to share this link with your friends & networks. 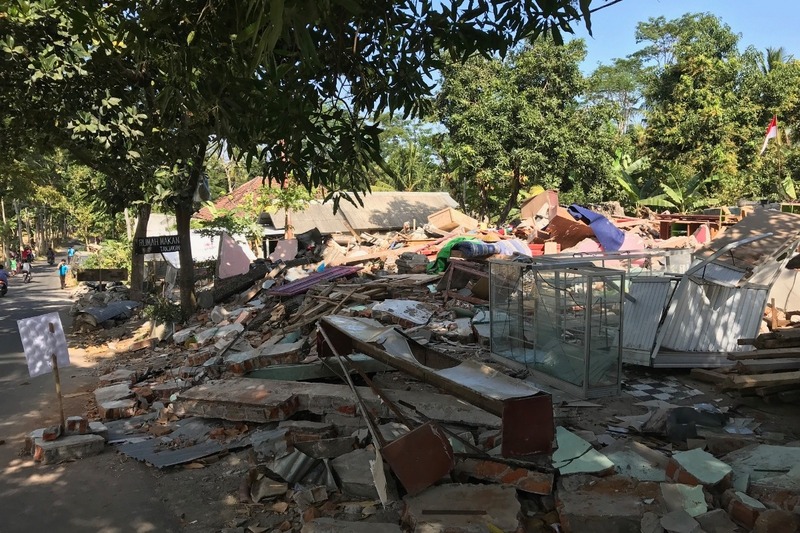 Many schools - shaken down to rubble. 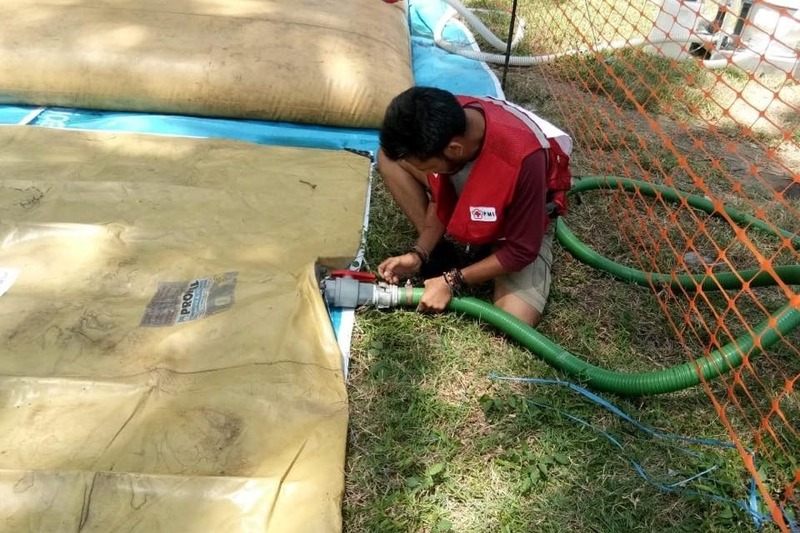 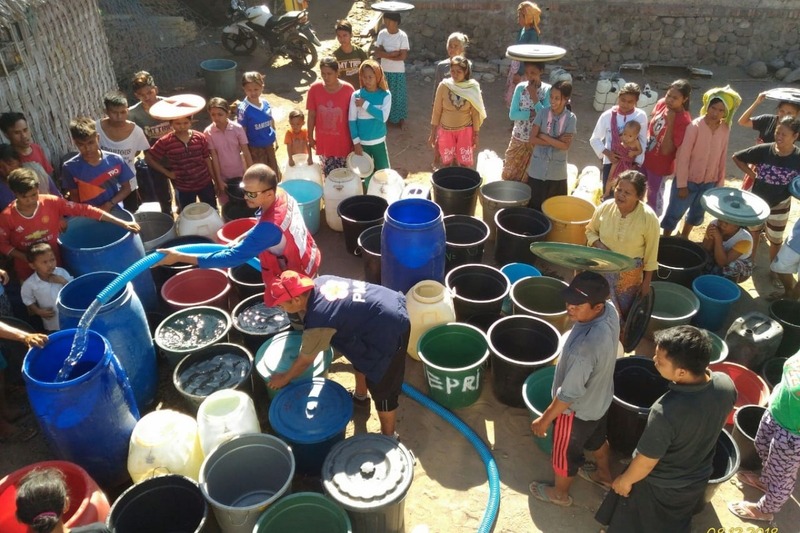 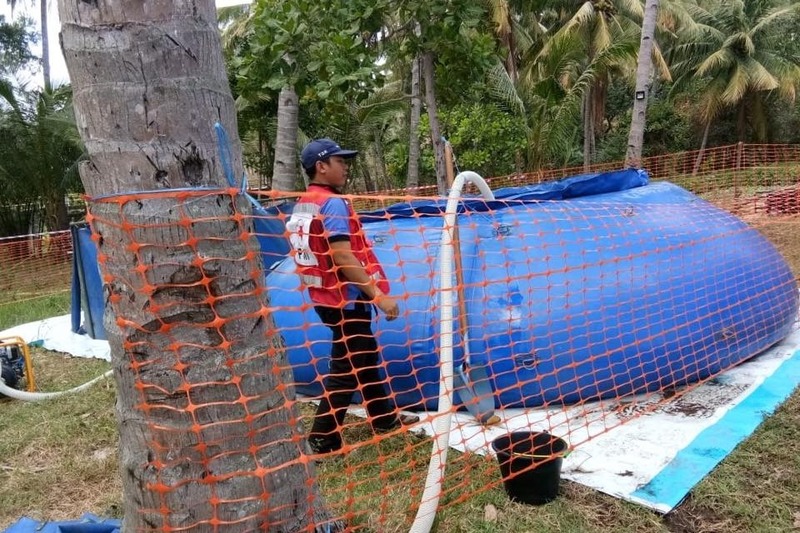 Emergency water treatment system have been installed by Red Cross Indonesia's 'WASH' team to distribute safe drinking water.